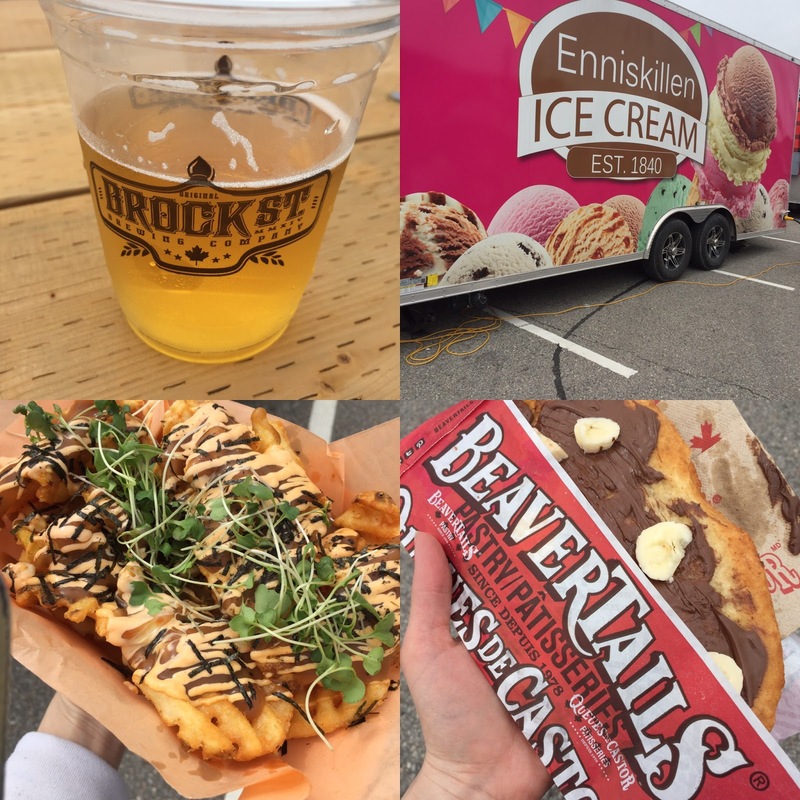 Home / Events / Whitby / Fourth Annual Food Truck Frenzy is a Hit! Fourth Annual Food Truck Frenzy is a Hit! The Rotary Club of Whitby has this festival down to a science: They know what the people want! This is the perfect opportunity for Durham residents to try Toronto food trucks without having to go to Toronto. This year, there were many food trucks I'd never seen before and there was a row of local vendors selling their tasty delights. I like it! You could try your hand at axe throwing from Batl Pickering and watch a skateboarding competition over at the skate park. There was also a variety of entertainment on stage all weekend. If you weren't eating, you were still entertained. Free parking and free admission are always a bonus, they only requested a small donation upon entering supporting community projects. Done and done. Lots of parking at the Whitby GO station, so that made things easy. This really is the perfect venue for this event; it's busy, but not crowded. There were so many choices for food the lines didn't get out of control and the wait for food was so short, it's not even worth mentioning. The Rotary had set out 2 giant tents for seating, a ton of picnic tables outside of the tents PLUS seating in front of the stage. They were prepared! Them and the volunteers definitely worked their butts off getting this set up! It was worth it! There was seating for all! It took me 3 rounds of checking the menus before I could decide what to eat! 3 ROUNDS! I finally caved at Meat Ventures for a Miso Poutine($10). Before I tell you how it tasted, while I was walking to the tent to sit, 3 different people stopped me to ask me where I got it and I hadn't even tasted it yet! The golden waffle fries were smothered in nori and togarashi(Japanese red pepper seasoning) dusted cheese curds, miso gravy and topped with sriracha mayo. Not being a spicy gal, I was worried about the mayo, but it had a nice kick, not one that made me chug my whole beer from Brock Street Brewery. This was a great poutine. The waffle fry is highly underrated. Time for something sweet. Can you believe I've never had a Beavertail? Worst...Canadian..Ever! I stopped by for a Nutella and Banana Beavertail($6-something) and it was all the sweet I was hoping for. The perfect dessert after a savoury lunch. As for non-food truck vendors, there was some cool stuff. There was a little something for children as well as adults. Princess Elsa made appearances. They could get a glitter tattoo or their face painted! There was also a fire truck they could go inside to check out. For your sweet tooth, you could get cupcakes from Cupcake Junkie or some fancy popcorn from Hollywood Popcorn or fresh shortbread from Eat My Shortbread. For your savoury tooth, there was a selection of preserves at the Drunken Smoker and perogies from Uncle Jack's. Even Durham College's culinary students were selling student made pickles and jams. Lots of good local stuff! Everyone was having a great time. I saw I wasn't the only one having trouble choosing a dish! It was a great festival and I was glad to see it come back again. Hope you enjoyed it as much as I did!